Discover our favourite hotels, restaurants, nightlife and things to do in Hong Kong right now. This insider's city guide has been a long time in the making. We've eaten in countless Hong Kong restaurants and visited the latest local hotspots. We've also asked the most discerning Hong Kong locals we know to share their favourite hangouts – whether brand new or classic institutions. We bring you our hand-picked selection of our favourite places in Hong Kong. Whether you're looking for the ultimate design hotel, a cosy boutique hotel, or an ultra-cool apartment, here is our pick of the best places to stay in Hong Kong. 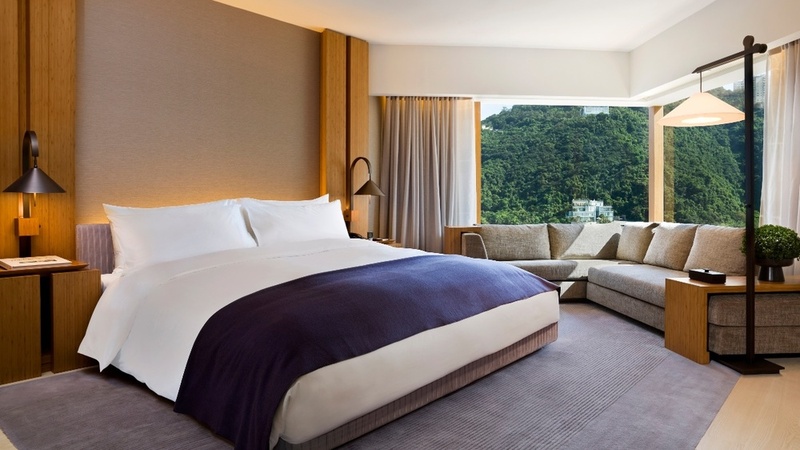 This hip Hong Kong boutique hotel chain boasts several hotels located in all corners of the city. We especially love the group's Ovolo Central and the Ovolo NoHo properties. Whether you're looking for a fabulous foodie dining spot, the city's best dim sum, or a see-and-be-seen dining spot, here is our pick of the best places to eat in Hong Kong right now. Whether you're looking for a cosy cocktail bar, the glamorous wine bar, or a see-and-be-seen late-night club, here is our pick of the best places to party in Hong Kong right now. Enjoy panoramic harbour views and a noteworthy drinks list at this ultra-chic lounge bar. A seductive lounge bar and nightclub for Hong Kong’s stylish crowd. This glamorous Hong Kong speakeasy is hidden behind an umbrella boutique. A dark and cosy whisky bar inspired by the halcyon days of 1890s London. A former ping pong club has been transformed into a haven of gin. Don't miss these incredible Hong Kong museums, art galleries and cultural landmarks. Hong Kong’s Hollywood Road district is the epicenter of the Asian art world, where you’ll find a collection of some of the best independent art galleries in the region. One of the best independent art galleries in Hong Kong is the Amelia Johnson Gallery, which promotes groundbreaking international contemporary art and brings unique artworks to the Hong Kong art crowd. Another famous gallery is the Plum Blossoms Gallery which showcases contemporary Chinese ar, along with 10 Chancery Lane Gallery which displays both established and emerging international artists of all artistic mediums. Cat Street Gallery exhibits the best of international contemporary and modern art by established and emerging artists. By appointment only. Every evening at 8pm, Hong Kong’s skyline transforms into an incredible light show, where many of the city’s skyscrapers are illuminated in a myriad of sparkling colours. The best places to watch the show is at some of the city’s best cocktail bars. With a soaring position on the 108th floor of Hong Kong’s highest building, you’ll literally feel as though you’re on top of the world at the glamorous Ozone Bar. The Oriental Spa at the Landmark Oriental and The Spa at the Four Seasons Hong Kong are two of the most glamorous spas in Hong Kong with a heavenly range of beauty treatments, spa and fitness facilities. While it’s still early and before the temperature and humidity soars, head to Victoria Peak for some of the most beautiful panoramic views in Hong Kong. A thrilling vertical tram will take you virtually to the top of Victoria Peak, where a short walk along Mt. Austin Road will lead you to the final spectacular lookout point. It’s best to go during the week as it tends to be filled with tourists on weekends and evenings (www.thepeak.com.hk/en). The ultimate way to see Hong Kong is from the air on a Scenic Helicopter Tour, taking you on an incredible aerial tour around Victoria Harbour, its spectacular islands and coastline (www.heliservices.com.hk). One of the best ways to enjoy Hong Kong’s picturesque harbour views is to enjoy a scenic sailing trip on an ancient Chinese junk boat around Victoria Harbour, where our pick is the 45-minute sunset cruise with Aqua Luna. For a more affordable boat trip across the harbour, catch the iconic Star Ferry from Wan Chai, Hong Kong Island to Tsim Tsa Shui, Kowloon. The trams in Hong Kong are a fun and exciting way to travel around the city, where Hong Kong Tramways has been operating a local tram service since the early 20th century. From Hong Kong Island’s Wan Chai district, jump on any one of the city’s historic trams. Make sure you sit up on the top deck for the best views. Make sure to visit the Temple Street Night Market in Kowloon, a vibrant and chaotic jumble of brightly lit stalls selling trinkets, electronic goods and delicious local delicacies. Another popular market is the Cat Street Market for its eclectic range of Asian antiques. The stalls at Ladder Street are the best place to haggle for a bargain. If you’re after collectables or special souvenirs, the weekend Stanley Market is set in a quaint local fishing village. For the more adventurous of heart, the Dragon’s Back 2-hour hiking trail will take you to the scenic Shek O Country Park, where you’ll then follow the rugged, undulating spinal ridge of the Dragon's Back. 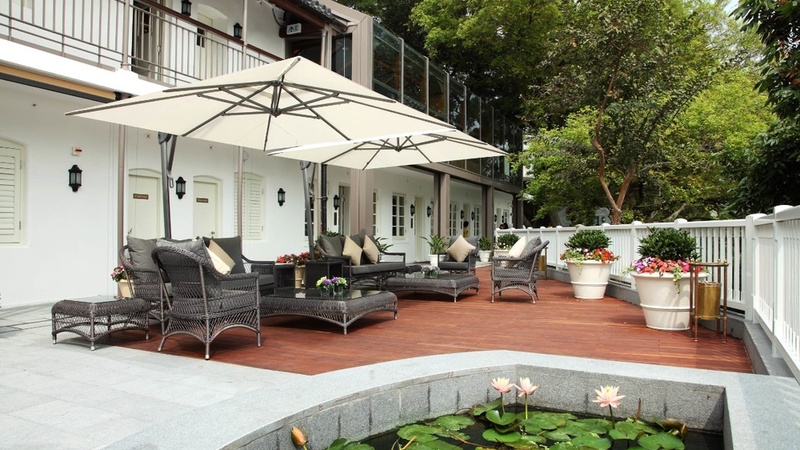 Enjoy spectacular views of Clear Water Bay, Stanley Bay and the South China Sea. The hike starts at the Shau Kei Wan metro station. Enjoy a refreshing swim at Shek O Beach to cool off after you’ve finished the hike. Dedicated to the god of literature (Man) and the god of war (Mo), Man Mo Temple is one of the oldest and most popular temples in the city. Follow the rich scent of the many incense coils that hang suspended from the temple’s roof, explore the vivid red and gold halls of this 19th century temple, and spot the two house-shaped sedan chairs that are used to carry the two gods through the festivals. Don’t miss the chance to learn your future from one of the many fortune tellers who wander the grounds.